On July 4, General Robert E. Lee began his retreat from the Gettysburg battlefield. Essentially, the wounded in wagons were directed west on the Chambersburg Pike and the army southwest on the Fairfield Road. ​According to Captain Louis C. Duncan, when the Union army arrived in Fairfield on July 5, he found 871 wounded soldiers under the care of Confederate doctors B.F. Ward of the 11th Mississippi and William Randolph Wilson of the 1st Virginia Cavalry. Most of these men were probably left behind by Lee’s retreating army due to their condition and a general lack of transportation. 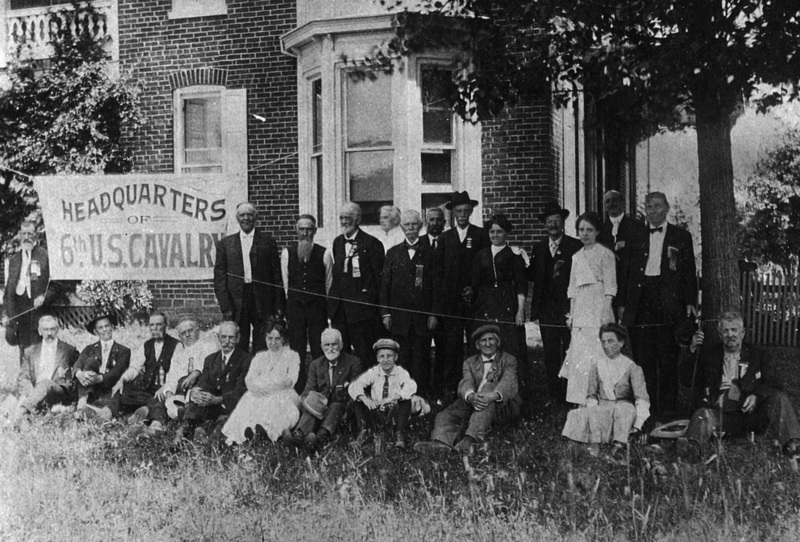 However, it is not known if this number included wounded of the 6th U.S. Cavalry and the 6th Virginia Cavalry who fell on July 3 and were being cared for in the town. We do know that injured officers and men of the 6th U.S. were treated at the Blythe house (18 East Main Street), the R.C. Swope House (10 West Main), and St. John Lutheran Church. Out on the Fairfield battleground, both the H. Culbertson and J. A. Marshall farmhouses were temporary field hospitals on July 5, including the Mansion House. Captain Duncan also encountered two surgeons of the 6th U.S. Cavalry: William Monroe Notson, who had been wounded on the 3rd, and William Henry Forwood. Both of these doctors were captured by the Confederates. Of special note is the fact that after the war, Forwood served for three months as Surgeon General of the U.S. Army. Musselman’s claim was also typical in that it would not be paid by the federal government because the damages were inflicted by the "Rebels." Eventually, the State of Pennsylvania did honor most such losses.